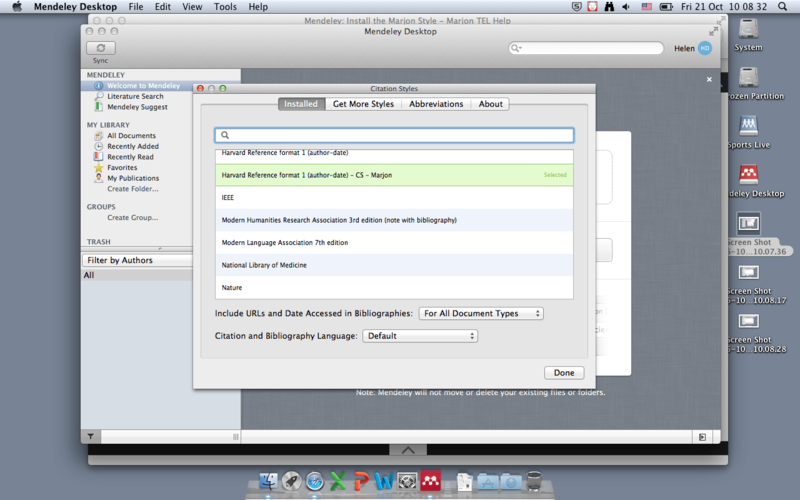 The install process for the Marjon referencing style on a Mac is very similar to the PC version, however, if you encounter any problems it is possible to manually install the style by placing it in the relevant programme folder. Mendeley has various built in styles but it is also possible to install a custom style. 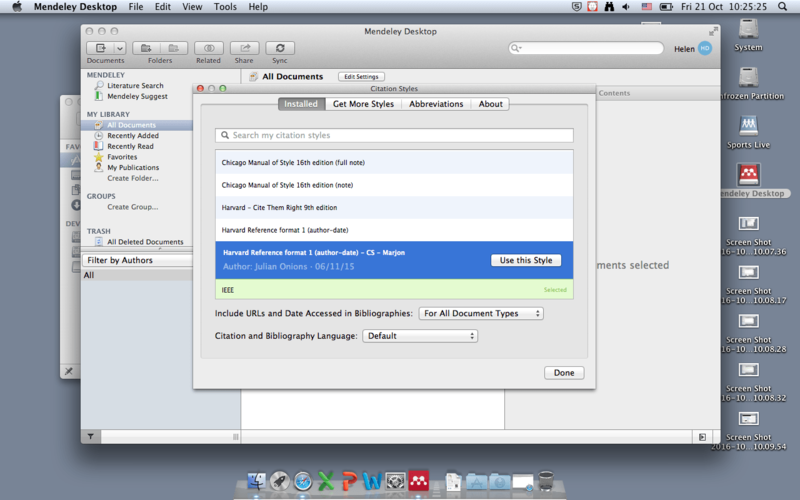 The Marjon referencing style has been put into a format which can be installed into Mendeley using the plugin for word. Note: Due to the nature of the custom style there may be some inconsistencies in the outputs. It is good practice to check through references for formatting errors before submission. 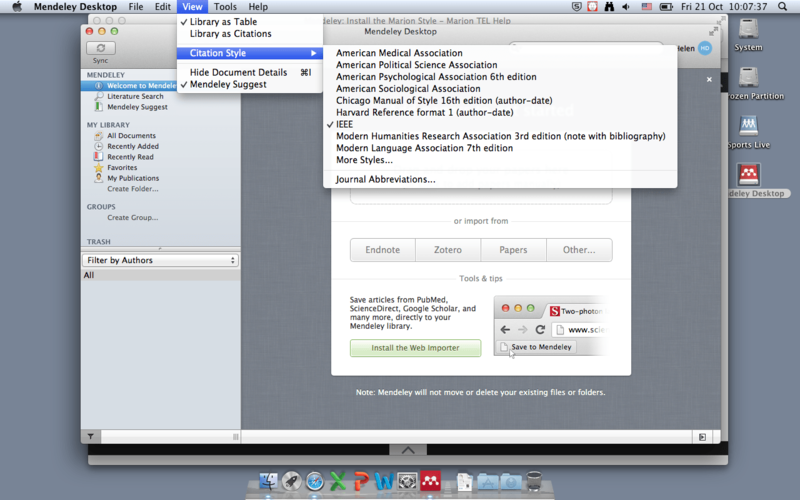 Open the desktop app and go to the View menu > Citation Style > More styles. This will open the style management window. Go to the Get More Styles tab and paste the link found below into the Download Style box. Clicking download will install this style. 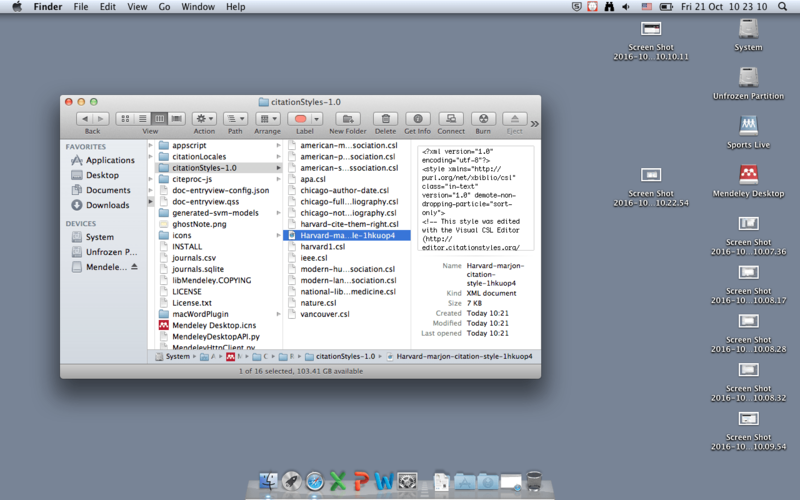 If this does not install you can place the style file directly into the directory in the file structure. To download the file open the below link and right click to ‘Save As’. Navigate to Applications>Mendeley Desktop> Contents> Resources> citaionStyle-1.0 and copy the downloaded .xml files into this folder. When you next open Mendeley the style will be installed. 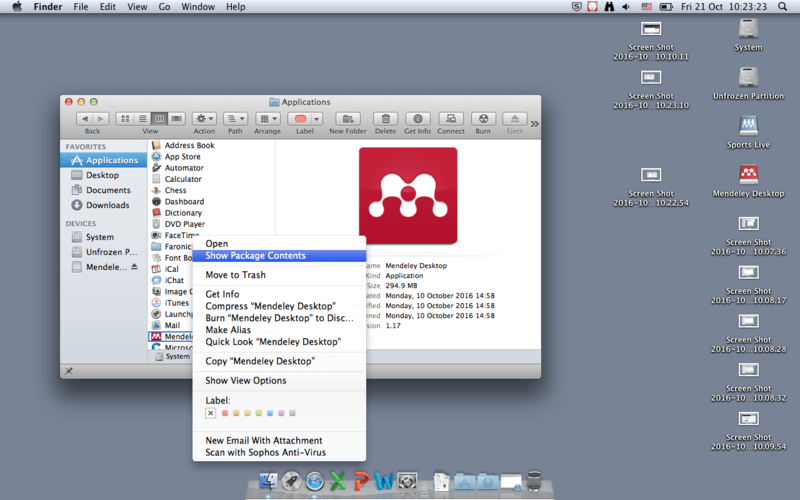 If you cannot see these folders, right click on the Mendeley Desktop application and select ‘Show Package Contents’. If the link does not work you can also download the style directly below. Open the link and right click and ‘Save As’.